Many of Indian family-owned businesses have moved a long distance from the days when they believed that the companies they ran are pieces of a cake that must be shared equally by all members of a family in a strictly private celebration. There are indeed several shining examples of family-owned companies who have successfully adopted the principle of separating management and ownership. Yet, the reality is that that there are many others who have refused to smell the coffee and have clung on to their companies, thus becoming pale shadows of what they used to be at the height of their glory. The disturbing trend is that over two-thirds of family businesses in India still don’t have succession plans in place, according to research by management consulting firm Hay Group. With the opening up of the economy, the system has become more demanding; it has also become democratised, as new groups have emerged while many illustrious names from the stellar list of the top 10 have bitten the dust or lost their glitter. 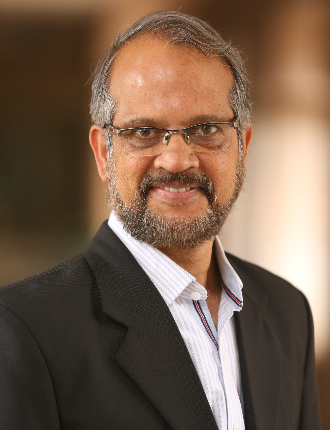 A listing provided in Professor Kavil Ramachandran’s book, The 10 Commandments for Family Business, is instructive as it shows how an entire generation of family-owned industrial conglomerates has sunk into decline, while new investor-friendly businesses in sunrise sectors have risen. As many as 14 companies have gone out of the list of the top 20 family-controlled firms in terms of turnover between 1992 and 2012. The encouraging sign is these firms are trying their best to change the mindset and is in a transition phase where they need guidance and professional help that are in tune with the local context, which very few global management books can provide. There is no doubt that there is paucity of knowledge about the family businesses’ ways of organising and managing in these rapidly changing times. Some of the main challenges facing family businesses in India are attracting and retaining non-family management talent, preparing the next generation for leadership, balancing individual freedom with family loyalty, assuring sibling unity, and not over expanding and growing the business despite strong economic conditions. And this is where Professor Ramachandran’s book is of immense value to all stakeholders of family businesses. For, the author doesn’t preach and has written a practical guide for business families with anecdotal evidence and real-life case studies which many readers would identify with. The book also gives us an overview of some of the family-owned businesses which have managed the challenge of differences smoothly; those who have had public spats for a short time but have managed the feud without harming the institution too much; and the many others who have undertaken the short road to self-destruction. Thus, the challenges are many. For example, as the author has written, there are many reasons why succession is challenging. Here are a few: One, in a traditionally male-dominated society like India, where working for a family business is considered both a birthright and responsibility, every male member naturally stakes claim to working in the business at a senior leadership position and wishes to become the leader with the accompanying benefits of power, image and position. Two, what if the daughter is more competent than the son? Three, what if the next generation lacks interest in the family business? Four, is the eldest the wisest and most capable? And five, what if the leader always feels he is not old enough to retire? These are real issues and the book has shared very important insights from the author’s many years of scholarly work on family business. 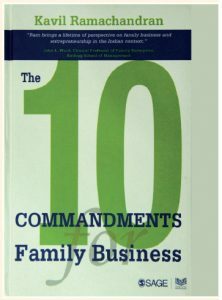 Readers will find the most important 10 building blocks of successful family businesses highly educative and a kind of a self-help manual for business families to refer to and act upon. The set of ‘do it yourself’ tools like action plans, checklists, and templates will help readers to introspect, self-evaluate, and develop their governance structures. The chapter on succession planning was one of the best I have read so far as giving away your kingdom to be managed by others is the toughest challenge Indian family patriarchs face mostly because of retirement-related emptiness and trust-related concerns. Also, most have carried the cultural baggage of making the eldest the head of the business without realising that times have changed and such practices are being questioned in a society that is rapidly giving way to nuclear families and individualism. So the only way to survive is to take decisions about your business beyond the drawing room of your house. The book has given extensive examples of the success stories but a few actual case studies of failures would have made the book even more useful. Obviously, there were difficulties in doing so. But overall, family-owned businesses and students of Indian corporate history would do well to listen to the advice the professor has given in this excellent book.